Being faithful to the original can require removing it from its context. It’s a necessary and paradoxical reversal. The premise of this essay subverts itself by way of its very utterance; to claim that the reinterpretation of certain aesthetical elements ought to remain true to its historical context is to be unfaithful to our contemporary one. This is postmodernity— be it the tail end or the thick of it, and we are postmodern— dealing with our various and qualified baggage of isms associated with it. And amongst these ‘isms’ is the notion that history itself becomes a conceptual problem that is not only viewed with a deep epistemological skepticism, but is nearly eradicated all together through the simulacra of images— the emptying of meaning through an endless chain of depthless signifiers. For some time now our culture has been dealing with the rupturing of temporality through loss of set historical signifier, signs that distinguish the past from the present. This process is enacted through pastiche: ‘the random cannibalization of all the styles of the past, the play of random stylistic allusion’— essentially, ‘a world transformed into sheer images of itself.’* Baz Lurhman’s deliberate intermingling of temporal features in The Great Gatsby (2013) is either a symptom, or a product, of the age of pastiche. The second of the ‘isms’ that would destabilize this essay proposal by way of subverting its own desire for historical accuracy, would be that postmodernism eradicates cultural hierarchy. The semantics of the question reveal a certain moralistic tone directed towards art. First, it claims a selective fidelity— that is, it has an issue with not being faithful to the music of the jazz age (in reference to Baz Lurhman’s new The Great Gatsby film), but raises no issue with adaptation as a practice, which is an inherent aesthetical infidelity. It is impossible to be faithful to a text once it is introduced onto screen, because visual signifiers inevitably create new meanings. However, the question does not find this problematic, but rather condemns certain choices within this proposed fidelity system. So if adaptation is fair game for directors, but making contemporizing choices is not, but rather, as the question states, creates ‘wasted opportunity’— then this implies there are certain mediums, and genres within that medium, that ought to be treated with more respect than others. In the case of this proposal it is music that is superior to both text and film because it demands faithfulness where the other mediums do not, and it is jazz that is superior to hip-hop, because it is the choice to use hip-hop that has wrought the words ‘wasted opportunity’, intrinsically linking hip-hop to waste. Yet postmodernism famously blends and destroys all that would be high and low, and seeks rather to diminish any ontic separation or binaries. However, regardless of this essay topic’s self-subverting quality, it still creates an interesting space for the consideration of adaptive fidelity. Examining deliberate anachronism, particularly in film adaptation, reveals that being faithful to the original can require removing it from its context. Through eradicating or neglecting historical background, anachronistic adaptation is able to free the themes from the text by demonstrating the universality that made the artwork so valuable in the first place; it is a necessary and paradoxical reversal. For example, in using hip-hop rather than jazz, Luhrman better expresses the excessive nature of the ‘20s. Jazz would not have been an adequate signifier to express the debauchery of the age because the current viewer now does not associate jazz with these features, and more important to F. Scott Fitzgerald’s story than jazz music is the thematic commentary and critique of an excessive society. Thus, the choice to use hip-hop is a justified one, for that which jazz music might imply to the generation of its era— parties, moral and aesthetic experimentation, fame, money, violence— in short, decadence, is in our current culture associated with hip-hop. 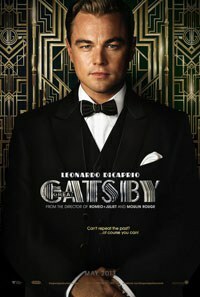 And so hip-hop becomes the more faithful signifier in communicating those things that are necessary to the story of Fitzgerald’s The Great Gatsby (1925). However, to understand the paradoxical play of anachronism and fidelity on a more substantial level, it is better to look at a few film adaptations that are more complex than the recent The Great Gatsby, and further removed from their original context. The most obvious of these are Shakespearean adaptations, and the reason for this is because these are the most deeply laden with universalities in our entire body of Western literature. I will invite the reader to a consideration of the concept of historical removal as a subversive fidelity through brief summaries of Akira Kurosawa’s Throne of Blood (1957), and Lurhman’s Romeo and Juliet (1996). Kurosawa’s Throne of Blood is an adaptation of Macbeth set in a temporally ambiguous feudal Japan. The director not only removes the play from its Scottish context, but the film contains no verbal trace of the original. Thus, there is the obvious infidelity of exchanging Shakespeare’s famous English for Japanese, but even still Kurosawa makes no attempt at translation. On the contrary, the Shakespeare script is replaced with minimal dialogue only spoken to move the action along. But this is deliberate; Kurosawa compensates for the removal of language through spatial articulation, he translates the original language into the cinematic space. It is not my intention to enter into detailed analysis, but on watching the film, the viewer will notice that the troubled relationship between free will and fate, the cyclical rise and fall of power, and the psychological pain of moral disintegration, are conveyed through scenery and cinematography. As a result, the viewer is reminded that the themes present in Shakespeare are not confined to one culture or language. Indeed, no culture has a distinctive right to the assigning or interpreting of meanings. Furthermore, Kurosawa is aware of a Western, English speaking pride in Shakespearean language, and through removing the context and language, he forces us to recognize that the play’s lasting significance lies outside of words, calling us back to the original themes of the text. Lurhman’s Romeo and Juliet enacts a different process to Kurosawa’s. Rather than removing the language, it questions the function of Shakespeare’s script in the assigning of meanings, drawing specific attention to the original text through reincorporating it into modern forms. Consider the opening scene of the film: a reading of Shakespeare’s prologue plays over a collage of newspaper articles, cinematic crime/thriller credits, a TV news program, and the flashing of black and white text across the screen. This erratic blending and cutting of images and words is one of the only ways we can understand a story now, this is how information is delivered to us— in a schizophrenic chain of signifiers and sensationalism. Lurhman uses this to his advantage, loads these devices with the language of the original, placing it in a context that we can understand— in a context that can hold our modern attention spans—which removes issues of comprehension. The result is that he represents a story that has been buried beneath the continuous and ongoing shrine of its own fame, and destroys it in order to keep it intact. We are brought closer to the tragedy of the original story, because we can now re-relate to it. The eradication of formal historical context reveals the text’s unchanging pathos. These are simplistic summaries to complicated hermeneutics, and I don’t mean to down play all the qualities and implications in the removal of context or language, especially not in the two films I mentioned. However, the notion of infidelity as restoration is one that, once considered, can provide deeper considerations of the adapted text, and remove the confines that our personal imaginations project onto original works. Authors don’t create or determine meaning; they make it available. The self-subverting quality of the proposal demonstrated this by way of undermining its own claim for historical accuracy— it demonstrated an inability to be faithful to context while still inviting the exploration of meanings. *Fredric Jameson, ‘Excerpts from Postmodernism, Or The Cultural Logic of Late Capitalism’ (1991) in A Postmodern Reader ed. Patricia Waugh (London: Routledge, 1992), p. 320.